Dedicated enthusiasts of various bestselling Suzuki cars finally came together under one umbrella to celebrate the Suzuki Way of Life. 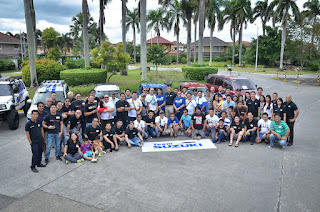 The six accredited Suzuki car clubs in the country; Team Alto Pilipinas, Team Celerio Philippines, Swift 1.2 Philippines, Team APV Philippines, Club Ertiga Philippines, and Vitara Club of the Philippines are now collectively called Team Suzuki Philippines (TSP), a non-profit organization which convened to foster camaraderie and support one other. They marked the milestone by holding the first get together last December 2015. A total of 76 members from the accredited clubs participated in the event held in Nuvali, Sta. Rosa, Laguna with fun games and activities that created camaraderie across the car clubs. Starting with the Suzuki Liberty Walk which stretched from the South Luzon Expressway (SLEX) Sta. Rosa to Nuvali, the half-day event also included giving recognition and handing of certificates to the clubs by Suzuki Philippines, Inc. (SPH), exciting raffles, and a sumptuous lunch. 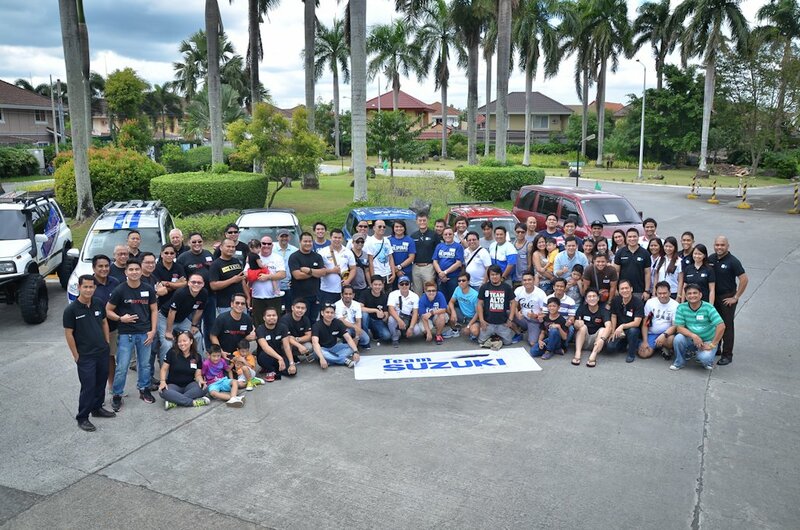 It has always been the dream of SPH, the only integrated automobile and motorcycle company in the Philippines, to gather all Suzuki car clubs wherein they can share goals, ideas and experiences, as well as strengthen and promote the Suzuki Way of Life. Mr. Shuzo Hoshikura, SPH General Manager for Automobile, shared, “We have proven time and again that it is in the relationship that we build with automobile owners that we find the strength and motivation to improve our products. These are the consumers who candidly share their first-hand experience on owning a Suzuki product, and how they feel towards our products will always be important to us. “This is a great way for us to reach out to them, and to create a network of members who share a common goal: to improve the driving experience. That is the goal of SPH, as well, and we have a better chance of achieving this if we are one team - interacting, exchanging opinions, criticizing, suggesting, and probably even just being friends with one another,” Mr. Hoshikura added. SPH, which posted a huge 2015 sales growth, has a positive business outlook for 2016 as well as big plans for Team Suzuki Philippines. Aside from the first six accredited clubs, other Suzuki car clubs are encouraged to join the TSP family.